In my previous post, I highlighted the usual tourist spot in Cebu. You must know by now, Cebu's two major malls just recently expanded, SM's new wing boast high end shops and Ayala's Terraces highlight's a range of Manila's best restaurants. But what else is new? Experience something different in PARKMALL. Located along Ouano Avenue, Mandaue City, (across Convention Center of Cebu - CICC), Parkmall's charming al fresco dining experience in zen garden offers a wide range of restaurants featuring Cebu and Manila's finest restaurants. Mooon Cafe, Chika-an, Pier One, Manila Foodshope, Joven's Grill, KFC, Out of Africa, You Bar, Tandoori, Da Vinci's Pizza, Shabu Way, Mang Inasal, Bo's Coffee, Postrio, Ice Castle, Fine Cuisine, Kk Fine Dining, Saigon Quan, Tsiboom and more. 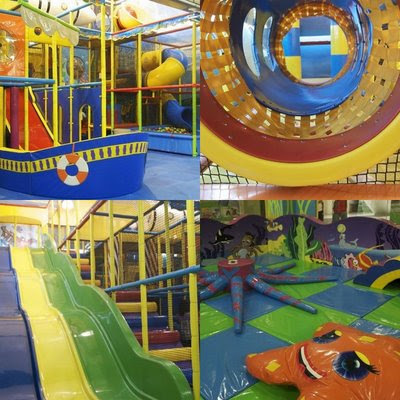 Indoor, the kids village is Parkmall's pride. Playmaze Fun Hub is any child's dreamland. My personal haven are the outlets and the micro-retail shops on the second floor, having the best bargain ever for clothes and accessories with exhibitors from Greenhills, St. Francis, export overruns and local entrepreneurs. I was also excited with the opening of Pixel Pro, (by Henry's Camera from Hidalgo, Quiapo), I shall get my new toy soon. Finally, Visayans now have access to good bargains. Go over the edge with Sky Experience Adventure at Crown Regency Hotel. Located right in the heart of uptown Cebu, view the city and conquer your fear of heights on the 38th floor, with a thrilling ride on the Edge Coaster or do the sky walk. Check their website for details. 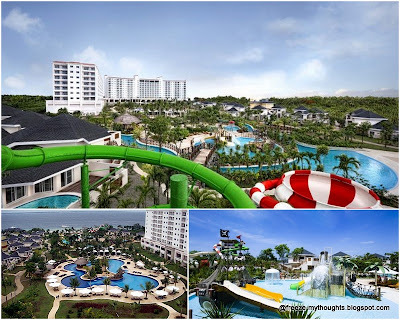 Get wet and scream at the Imperial Palace Resort Waterpark & Spa. It's located along the coast of Mactan, Cebu (right beside Hadsan Beach Resort). This is Korean owned and aimed to cater Korean tourists. Rack rate starts with a whooping $250, but it's best to contact them for promo rates. Currently, promo rates start at P8,000++/night, day use is pegged at P1,500 with lunch buffet valid until end of September. We spent a night and I had a blast and service was great! The photos speak for itself, isn't it so inviting? i love the design of the pool. it provides privacy in different areas and pwede magpasyal pasyal hehehe. yon pala purpose nun?! haha di ko naisip.